Kaitlyn is now three months into her third year. The first three months were pretty emotional for her. I had no idea what was going on! 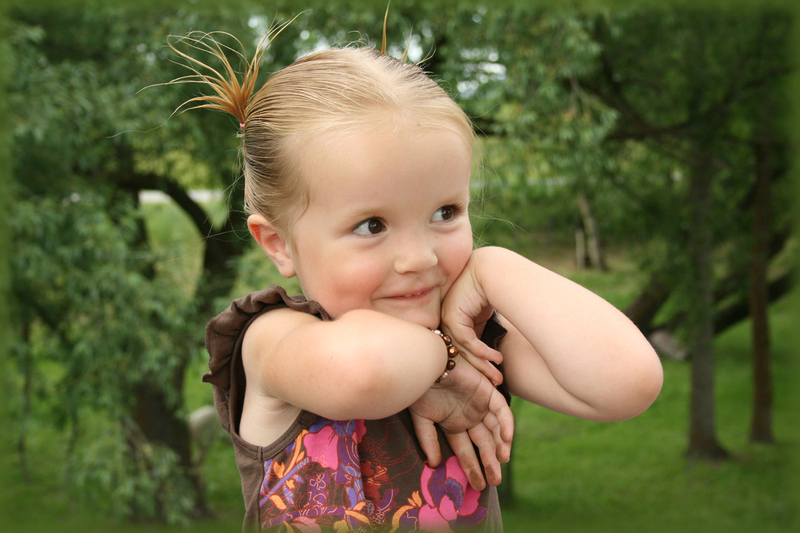 After consulting with many, many friends, it seems that a surge of emotions is common for the three year old girl. Once the three month mark hit, she mellowed out and is back to her calm, easy going self. I am hoping she stays this way for a while (but yes, I hoped that in the last post ;). I am not well-versed in dealing with emotions! Kaitlyn is still sleeping well for naps and night. Last time, I mentioned that she sometimes started her nap later in the day. I have stopped making that a norm. I do it if she is 100% happy and free from emotions, but if she starts getting weepy, we start nap. So nap starts anywhere from 1:00-2:30. Most days, it seems to start from 1:30-2:00. I ideally should have this a more consistent time, but for summer, this is working for us. Once summer is over, I think we will get more consistency. Kaitlyn has gotten a lot more adventurous with her food. It has been rather strange. She always wants to try a bite of everything. For over a year, she has been pretty cautious with food, so it is still shocking to me each time she asks to try a new food. Most of the time, she doesn’t like it, which just impresses me more that she will try it. Kaitlyn is still doing great with her siblings. She is playing well with Brayden and McKenna. She is a nurturer, and is always trying to help McKenna out. This is great, I love to see schedules for all your kids, even though I only have one pre-toddler. But what I'd really LOVE to see is YOUR schedule! And see how the heck you fit in 3 kids, husband, (fabulous) blog, moderating online groups, crafts, cleaning, cooking, reading, writing, gardening, socializing, church activities, etc. I have no idea how one person can do so much so well!